The Ritz-Carlton, Atlanta is downtowns only luxury hotel and is only 15 minutes from Hartsfield-Jackson International Airport. 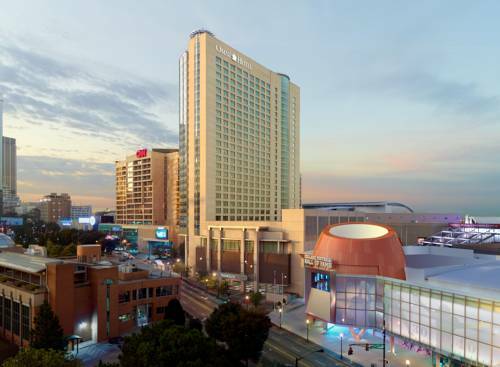 The hotel is surrounded by the states centers of law, finance and government, and is minutes from the Georgia Aquarium, National Center for Civil and Human Rights, College Football Hall of Fame and Georgia World Congress Center. 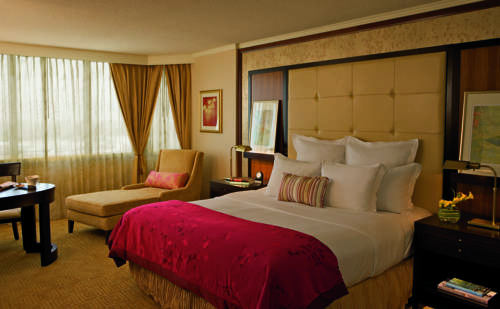 Grand Hyatt Atlanta, located in the heart of Buckhead, Atlanta's most prestigious and fashionable area. This distinctive hotel combines classic elegance and unsurpassed service to offer discerning guests Atlanta's legendary hospitality. The hotel is ideal for elegant meetings, conferences, events and entertaining. It is surrounded by Atlanta's finest shopping, dining, and nightlife. Complimentary transportation is provided within the Buckhead area. Grand Hyatt Atlanta's renowned attention to detail makes this an exceptional choice for business and social gatherings. A sun drenched pool, three terraces, and an award winning Japanese Garden offer serenity to travelers. Discover the timeless elegance of our hotel, located in the heart of this vibrant business, shopping and entertainment district. The JW Marriott Buckhead is connected to an upscale shopping center, Lenox Square, and is conveniently situated across the street from the Lenox MARTA station. This hotel's luxurious environment has been crafted for approachable leisure. 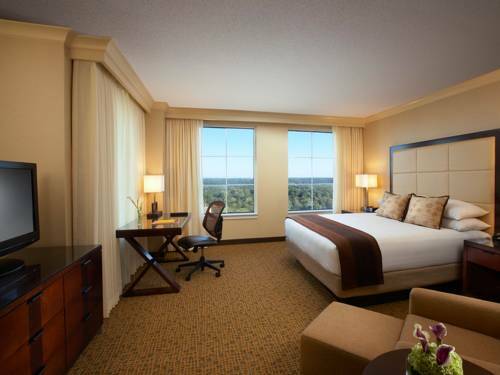 Located mere steps from Phipps Plaza, Legoland, fine dining, Buckhead Spas and nightlife, the hotel offers 371 exquisitely decorated rooms and over 22,000 sq. ft. of eloquently modern event spaces. Experience a gorgeously designed lobby, deluxe amenities and personal service. Located within CNN World Headquarters and adjacent to the Georgia World Congress Center the luxuriously renovated Omni Atlanta Hotel at CNN Center combines an International flavor and sophisticated amenities with the friendly hospitable spirit of the South. 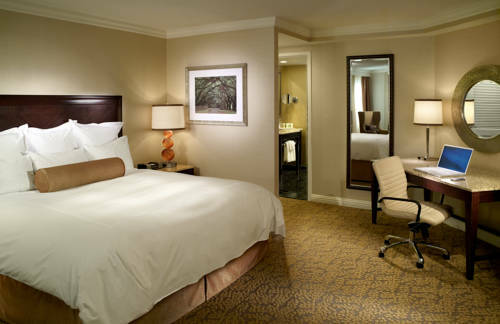 Our 1059 elegantly appointed guest rooms and suites exude sophisticated style and modern amenities including wireless internet access and an oversized workstation plus fully stocked refreshment center and exquisite marble bathrooms complemented with fluffy bathrobes. Guests can enjoy the exceptional menu at the Prime Meridian Restaurant or explore world-renowned restaurants and attractions right at our doorstep. This luxury Atlanta getaway in the chic Buckhead neighborhood is directly across from prestigious shopping at Lenox Square and Phipps Plaza. A familiar landmark on Atlanta's social scene, The Ritz-Carlton, Buckhead is located in the heart of the city's finest dining and entertainment district. The hotel is also 7 miles north of downtown and the Georgia Aquarium. 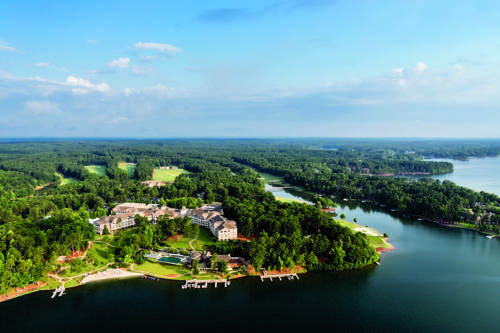 Within the sweeping panorama of the north Georgia foothills, just 40 minutes north of Atlanta is Chateau Elan Winery and Resort. Here on 3500 acres, French provincial and Southern hospitality combine to produce a superb leisure resort and conference destination. Guests can enjoy the 63 holes of championship golf, a Tennis Center, a full service European Style Health Spa, Winery Tours and Tastings, hands-on cooking classes, and seven restaurants. 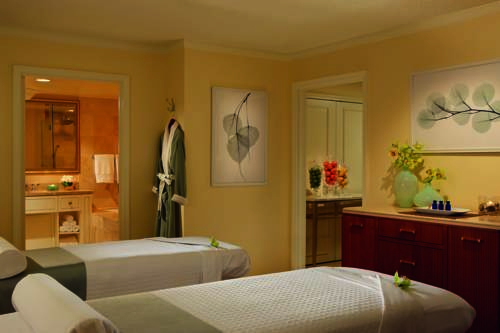 The Inn at Chateau Elan is designed to provide guests with a timeless feeling of relaxation and well being. Capturing the French country estate architectural flair the guest rooms and suites are tastefully furnished in hushed pastel tones and are luxuriously comfortable. Discover the impeccable service at The Ritz-Carlton Lodge, Reynolds Plantation, a luxury Georgia resort. Set on 35 acres of shoreline, our exquisite guestrooms and exceptional amenities make Reynolds Plantation the ideal southeast luxury golf resort. A casual oceanfront resort nestled along .25 mile of ocean on Jekyll Island Georgia. Relax in rooms with sweeping views of the ocean. Oceanside Inn and Suites offers 178 rooms including 26 suites, a large beach, beachside pool, and hot tub volleyball court. Oceanside has served countless guests and generations of families in its 50 year history and offers a nostalgic glimpse into a quieter days-gone-by era. If you can�t find it here, a whole exciting world is just a mile or so away in the historic district with 63 holes of golf, tennis, biking, horseback riding, shopping and more. Connect with nature. Connect with each other. Oceanside Inn and Suites - Serenity Adventure and the Best Oceanfront Value. A picturesque 199 room full service hotel on a 132 acre resort-like knoll overlooking 18 hole golf course & historic Brumby Hall and Gardens, AAA 4-Diamond. Guest rooms offer coffee maker, ironing board and iron, vanity mirror, full sized desk. Full service Hamilton's Restaurant overlooking the 10th Tee box, featuring both buffet and ala Carte dining, including 2 private dining rooms. Popular 166 seat Pub for your favorite cocktails and snacks, complete with billiards, darts, multiple TV's. Adjacent to Marietta Golf Course featuring pro shop, grille, driving range and putting green. Property also includes outdoor heated pool and hot tub overlooking the golf course, fitness center, 2 tennis courts, and walking trails throughout Brumby Gardens. 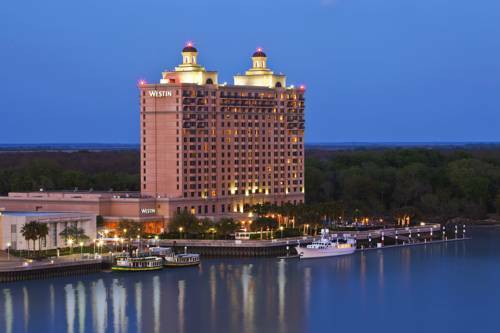 With 351 rooms, located on the waterfront of the Savannah River, the Hyatt Regency Savannah is right in the heart of the Historic District. The hotel offers 33,000 sq. ft. of flexible meeting space, including an 8,000 sq. ft. ballroom, a 300-car parking garage and an indoor pool and fitness center. 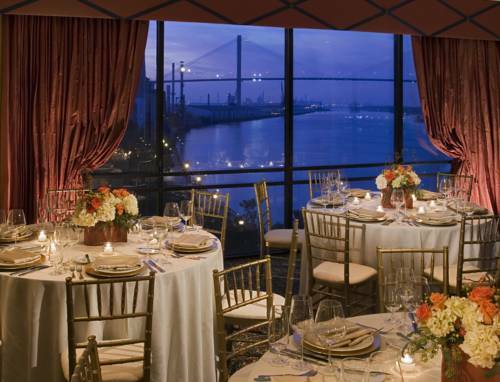 The waterfront restaurant, Windows, features breakfast & lunch with a view of the river and sailing ships. The Vu Lounge provides both cocktails and a lite fare menu nightly. Enjoy our tranquil riverside oasis from a hammock or cabana. Our facilities include the Heavenly Spa by Westin , complete business services, Har-tru tennis courts, and the area's only PGA championship golf course, nestled amidst stunning nature. Our 403 freshly renovated yet classic guest rooms, including 13 suites, are furnished with the latest amenities, from LCD TVs and iDock radios to High Speed Internet; Heavenly Beds and Baths; and fully-integrated multi-media connectivity centers. Created in classic Mediterranean style, The Cloister was first designed by renowned Palm Beach architect, Addison Mizner, in 1928 and is a timeless and happy oasis of old world elegance featuring terra cotta roofs and sunlit garden patios. Elegant and natural, The Cloister features ocean tides, winding rivers, salt marshes and miles of unspoiled shoreline.